The average house price in New Zealand currently sits at $559,492, with values up 0.2 percent over the quarter and 11.4 percent over the year. While property values in Auckland dropped 0.2 percent over the quarter, they still managed to rise by 16.9 percent over the year to reach $931,061. An average home in Wellington costs $491,236, with prices up 3.1 percent for the quarter and 7.5 percent for the year. Napier experienced a healthy increase of 4.3 percent for the quarter and 9.1 percent for the year to $358,732, with Hamilton values rising by 3.7 percent and 23.3 percent respectively to reach $460,725. Values in Hastings rose by 2.6 percent for the quarter and 9.6 percent for the year to reach $331,149, with Christchurch City rising by 0.8 percent and 2.9 percent to $485,700, Dunedin increasing by 2.0 percent and 8.1 percent to $315,185, and Nelson rising by 4.3 percent and 8.9 percent to $446,860. Despite the marked slowdown in Auckland, a number of provincial centres experienced the fastest rate of home value growth since the previous peak of 2007 - including Whangarei, Napier, Rotorua, Taupo, Central Otago, and Queenstown Lakes Districts. Despite dropping values in Auckland over the quarter, sales volumes have risen by an astonishing 67 percent from February to March. According to Real Estate Institute of New Zealand (REINZ) chief executive Colleen Milne, predictions of a market slowdown are overstated: "Recent fears of the Auckland market cooling have been overstated, as median prices across the city have rebounded during March... 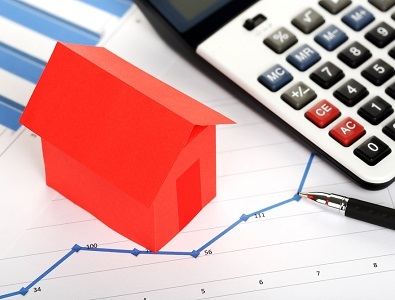 The slowdown in sales volumes after the introduction of tax and LVR changes last year appears to be coming to an end with a significant lift in sales for March and a further uplift in the median price."